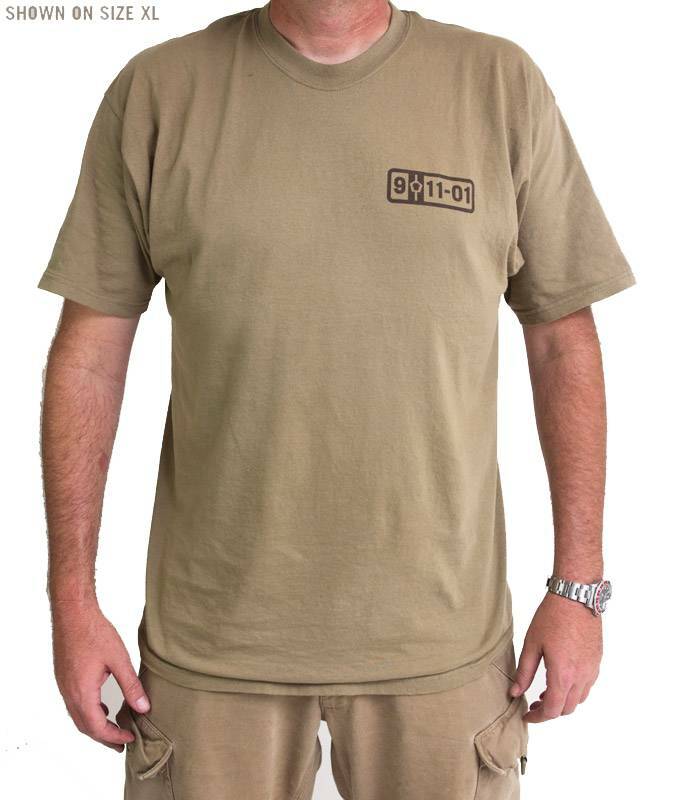 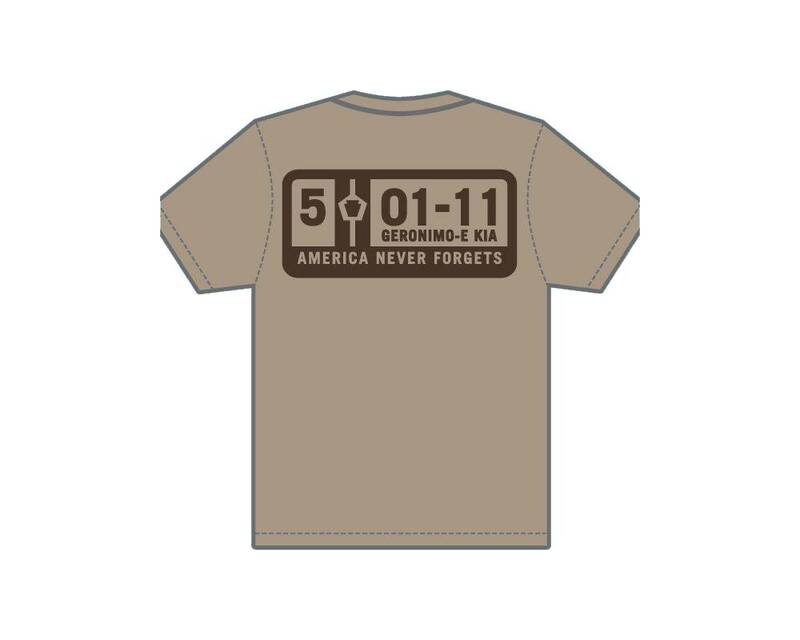 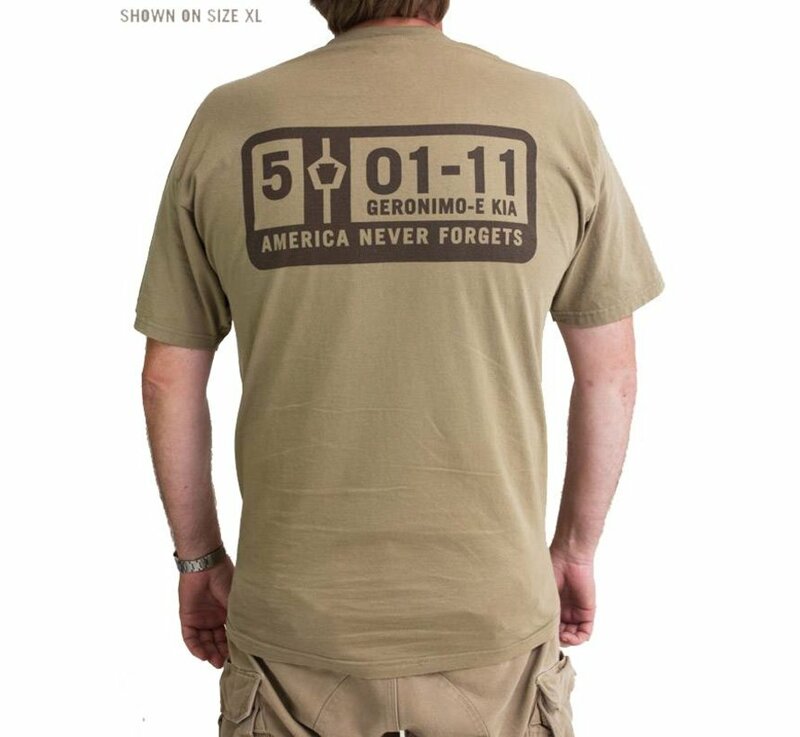 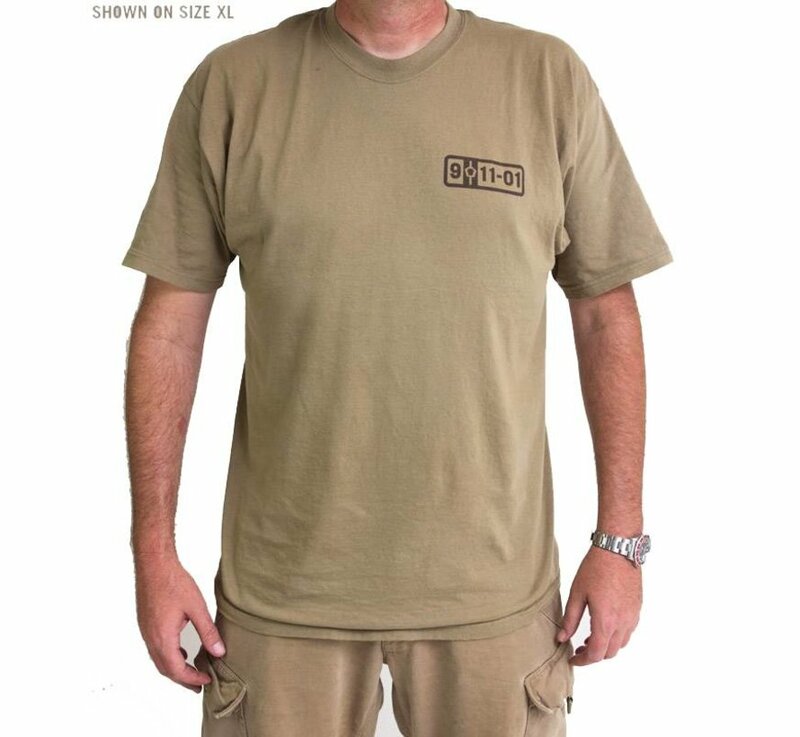 MIL-SPEC MONKEY 5-01-11 T-Shirt (Dusty Brown). 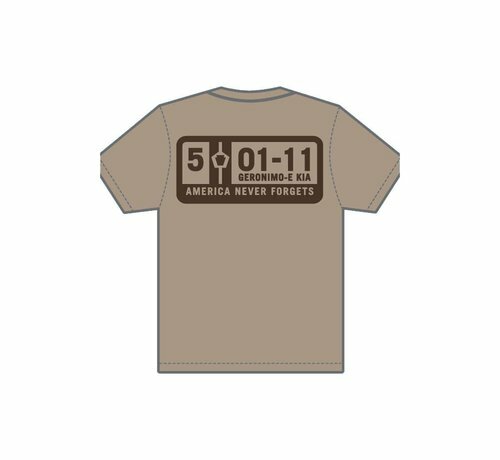 We wanted to class it up since it seemed guaranteed there were going to be a lot of shot in the face kind of designs so here is something you might actually be able to wear to work. 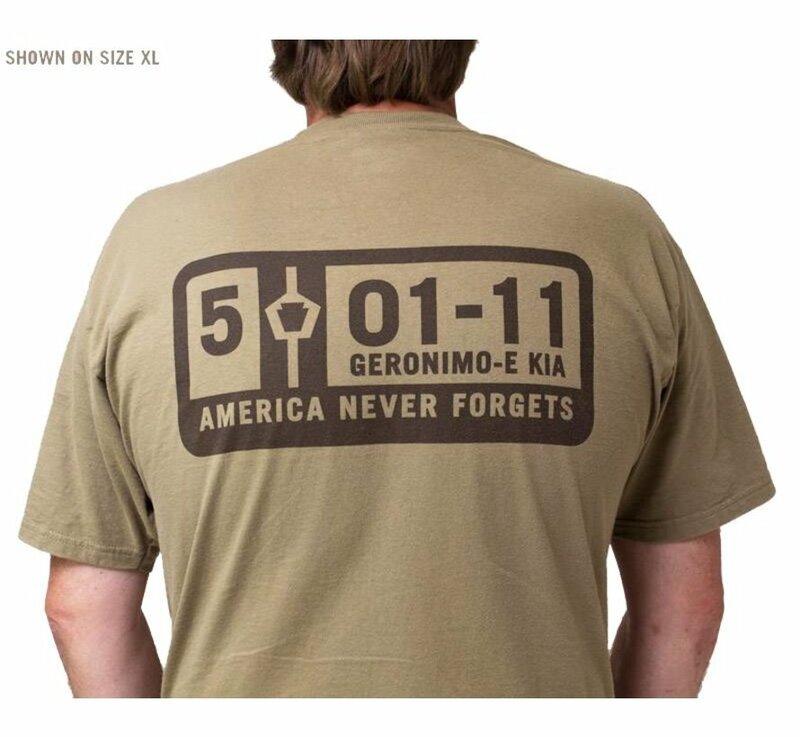 5-01-2011 is the date we finally hunted down ol' Osama Bin Laden (USA date) and this patch is a reminder to those that may harm us. 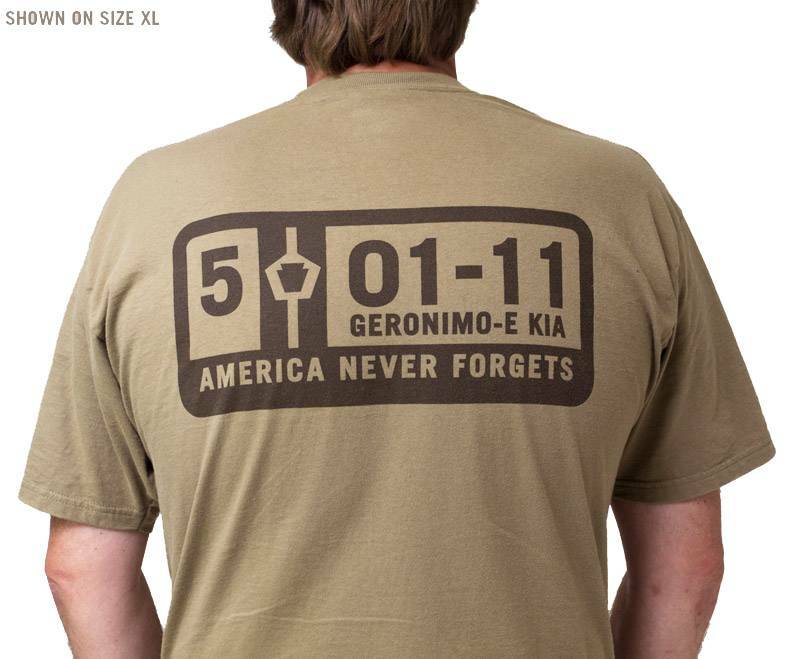 Symbolism wise there are the Twin Towers, the Pentagon, and PA Keystone in the middle to represent the Flight 93 crash site. 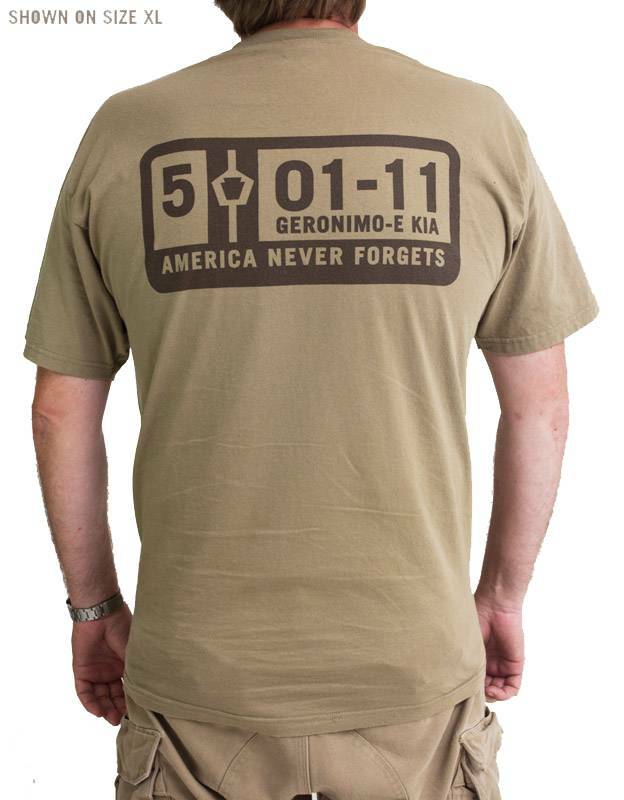 Geronimo was the code name for Bin Laden.